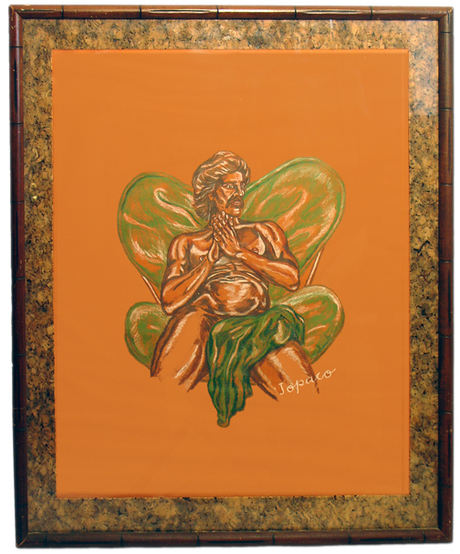 Remember the 70s, when all we did was lie around in our butterfly chairs while our lovers sketched us au naturel? And do you also remember how hard it was to maintain that au naturel feathered-back hair and moustache look after a particularly vigorous roller-disco session? I think Jopaco captured those feelings particularly well in this painting.